While some have hinted at parsimony when referring to the meagre Omega offerings for the Vancouver 2010 Winter Olympics (particularly compared with the treasure trove of models released during the Beijing extravaganza), this may well be a bonus for serious collectors. A run of 2010 pieces for each of the 41mm and 36.25mm versions points to genuine future collectibility. It’s a watch to pass on to the next generation, so if you purchase one do make sure you keep the boxes and papers! 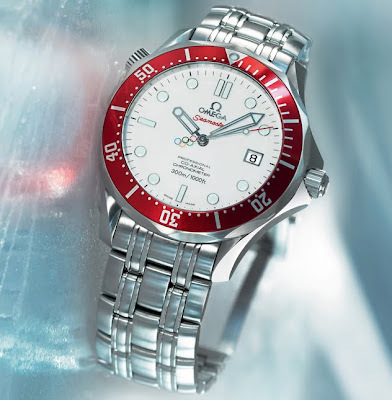 The Seamaster Vancouver is a thoughtfully designed collectors' piece that is quintessentially Canadian in its colour palette and evocative of the Winter Olympics program. Its colours are taken from the Canadian national flag: a snow white lacquer dial with a red embossed Seamaster logo, black Omega symbol and lettering set against an anodised red bezel with silver index and numbers. The bezel sits strikingly within the classic scalloped case rim and signature Seamaster beveled lugs. The hands are also part of the Seamaster Professional livery, skeletonised and coated with super LumiNova. The centre sweep is nothing short of dinky, featuring coloured Olympic Rings as a counterweight to the red-tipped “business side” of the sweep. Simple round hour indices coated with Super LumiNova mark each hour. One or two commentators have questioned the choice of a Seamaster as a commemorative Olympic watch, hinting that a chronograph of some sort is more proper. To me, it’s refreshing to see a configuration with a simple date window do the honours, and aren’t we getting a tad weary of all those big tool watches, the functions of which people rarely ever use, commanding all the attention? In my opinion, the uncluttered snow white dial is infinitely more suggestive of the conditions in which this Olympic competition will be held. The Seamaster Vancouver case houses a chronometer certified Omega coaxial calibre 2500, reviews of which appear in other posts below. It’s a proven workhorse that matches up to any Rolex calibre you care to mention. 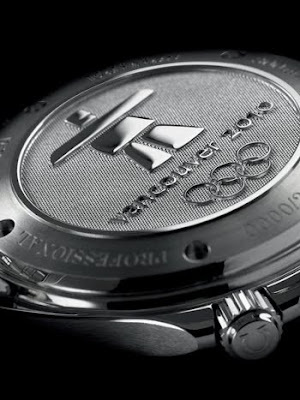 The caseback design continues the Canadian theme, showing the Winter Games logo and “Ilanaak”, an abstract sculpture that denotes “friend”. This Seamaster carries all the fruit of the Seamaster Professional series and retails at around the USD $3800.00 mark, probably a few hundred less after a bit of spirited bargaining. As a collectors piece, particularly for Canadians wishing to commemorate the games, it represents good value. For me, an eminently collectible one of two thousand and ten (for each case size) that screams “out of the ordinary”.